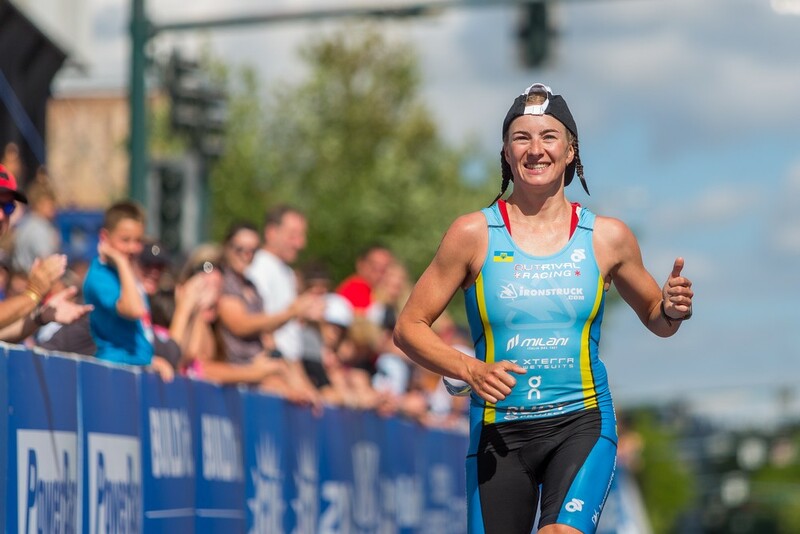 On Sunday, the city and surrounding area of Coeur d’Alene turned into what women’s winner, Heather Wurtele, called “the easiest and hardest Ironman.” More than 2,460 athletes battled through choppy waters for the 2.4-mile swim, then biked through strong winds for the 112-mile bike ride and completed the 26.2-mile run. 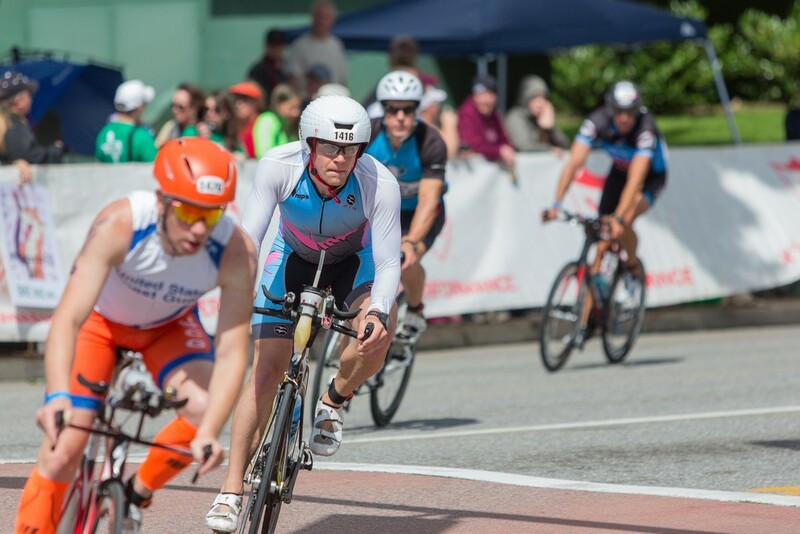 The weather was cool and breezy, perfect for the athletes competing this year. 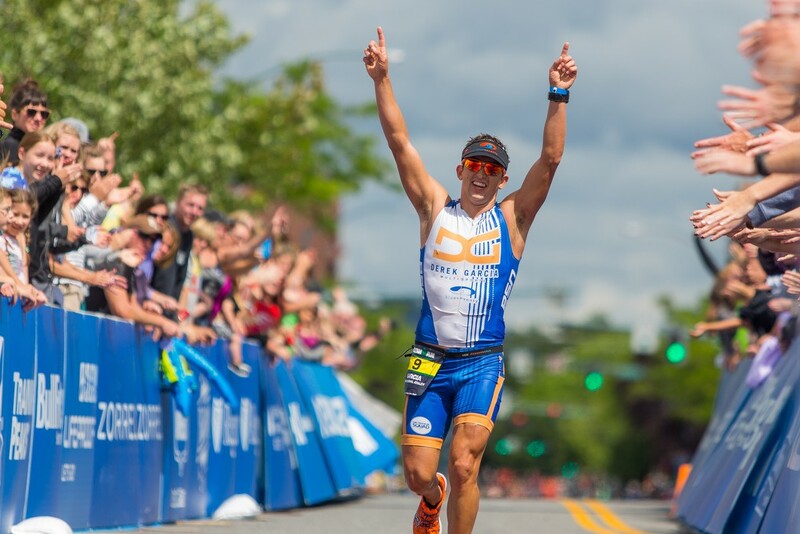 Andy Potts won the men’s professional division with a time of 8:25:44 and Wurtele won on the women’s side with a time of 9:34:32. 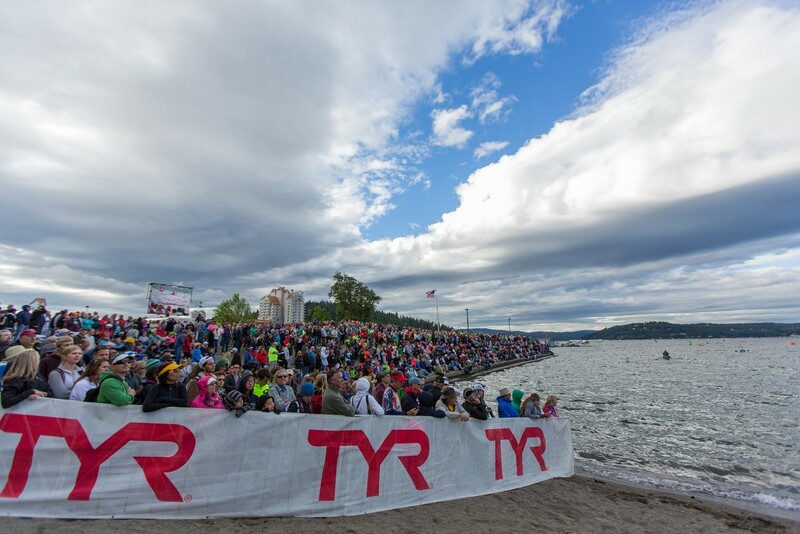 2,466 athletes battled their way through the cold waters at the Coeur d'Alene Ironman. 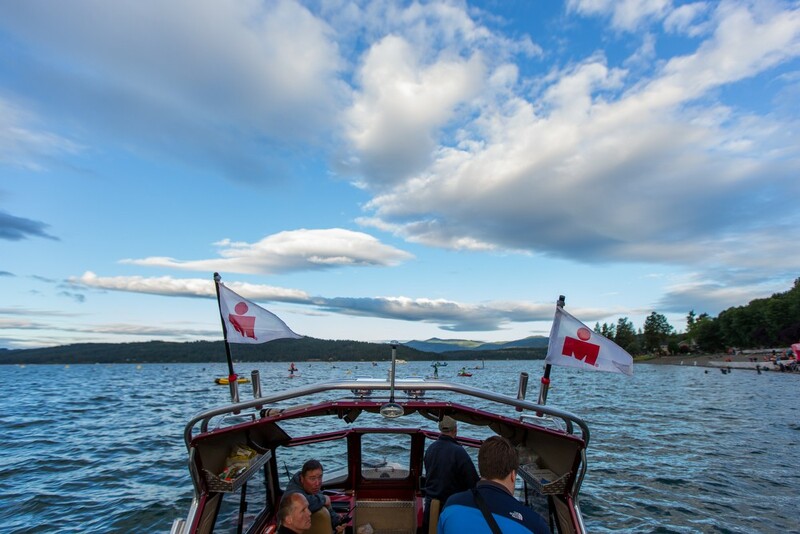 Partly cloudy skies and a cool breeze made for ideal conditions for the Coeur d'Alene Ironman. 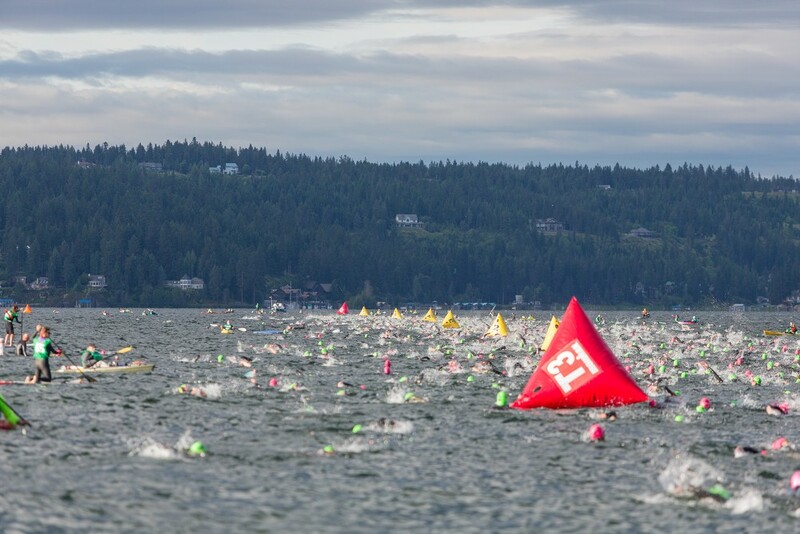 Competitors ran into Coeur d'Alene Lake to begin the 2.4-mile swim, the first portion of the Ironman. 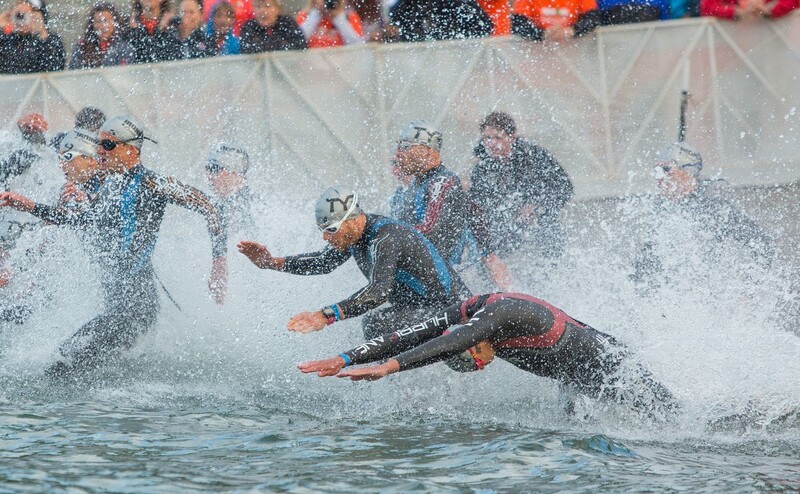 Family, friends and spectators watched as more than 2,000 competitors ran into the lake. 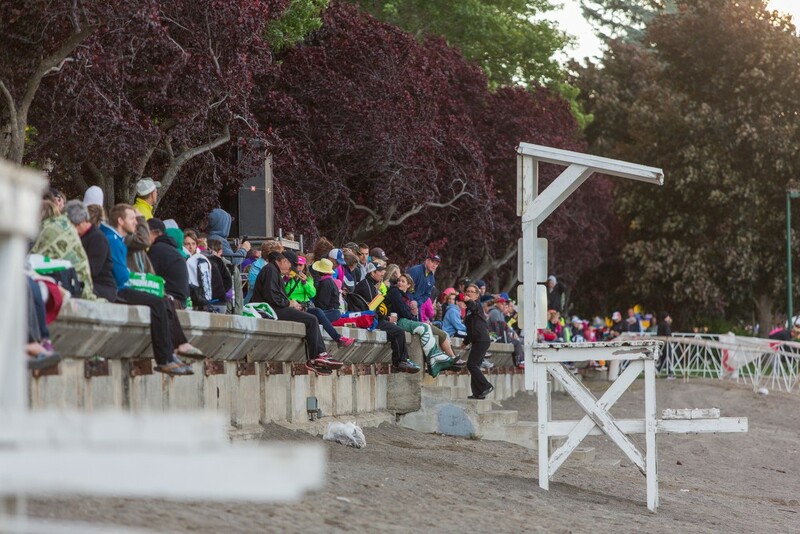 Spectators line City Beach anticipating the start of the Coeur d'Alene Ironman. 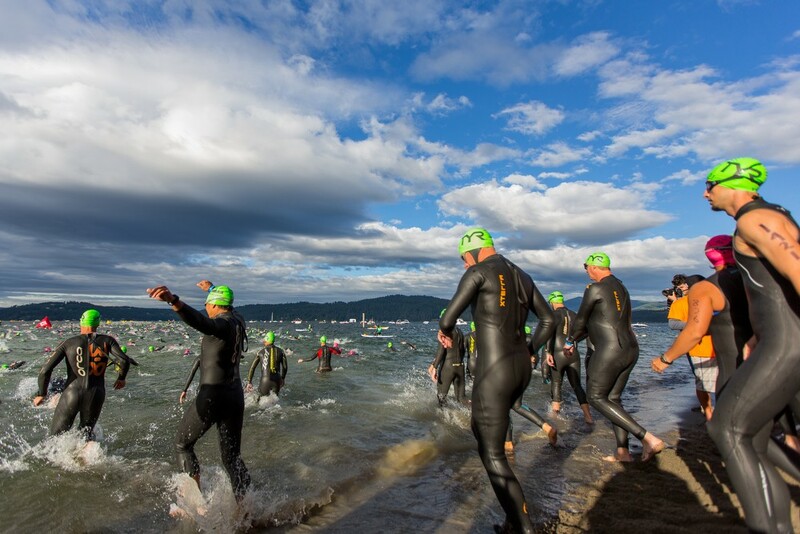 The professional men dive into Lake Coeur d'Alene at the start of the Ironman. 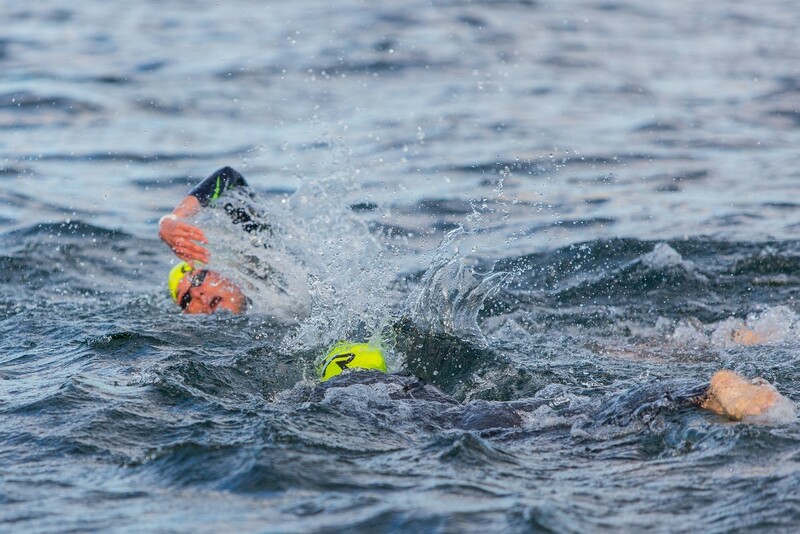 The professional women swim in Lake Coeur d'Alene. 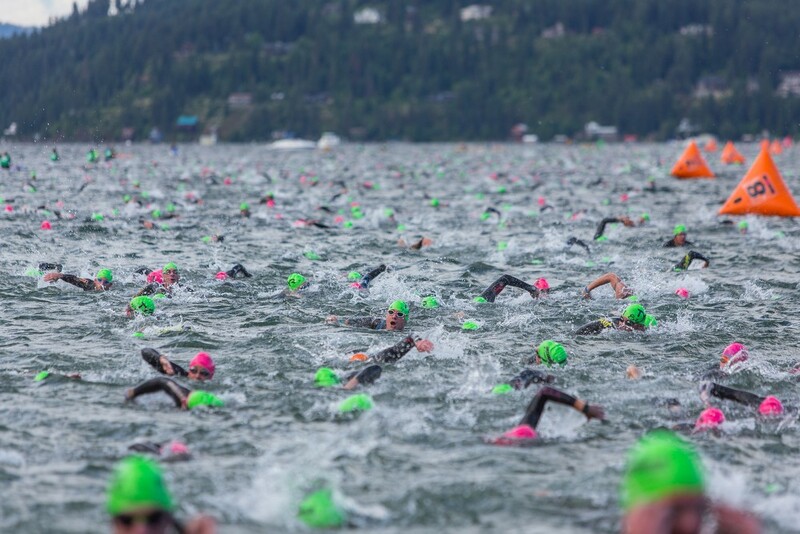 The second, third and fourth place men swim to shore for the start of their second lap at the Coeur d'Alene Ironman. 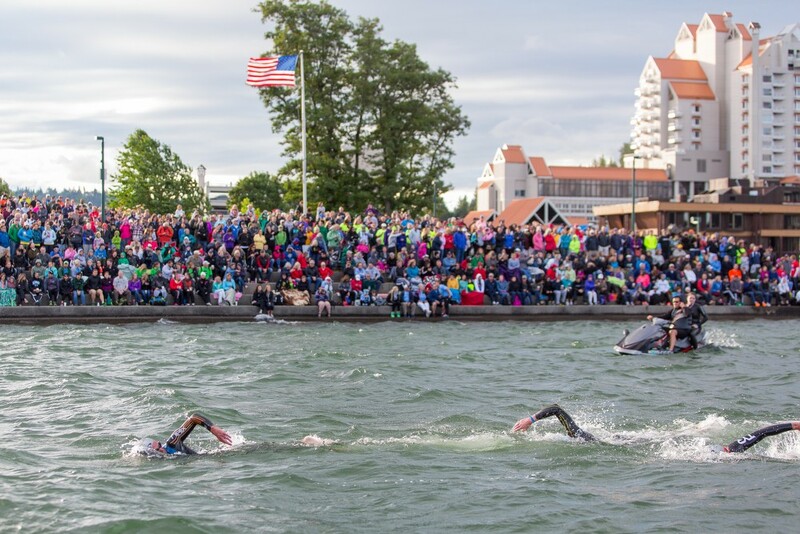 More than 2,000 competitors swim the 2.4-mile course. 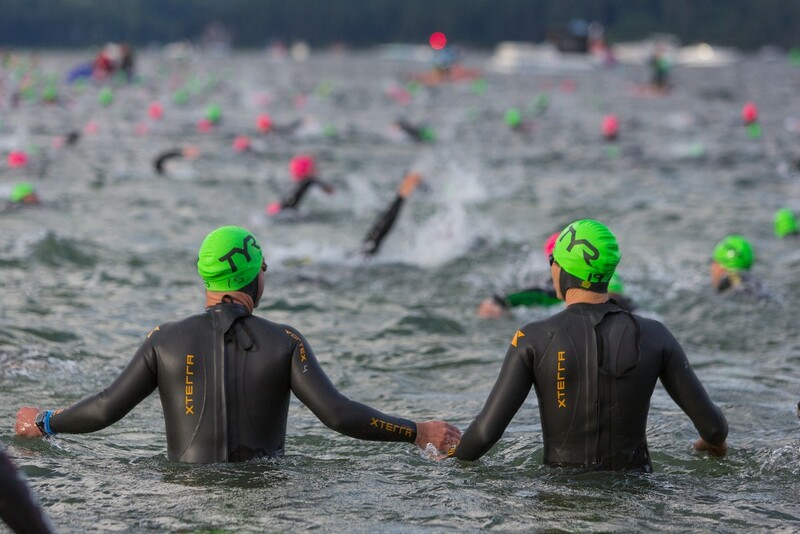 Two friends and competitors enter the brisk water of Coeur d'Alene Lake for the start of the Ironman. 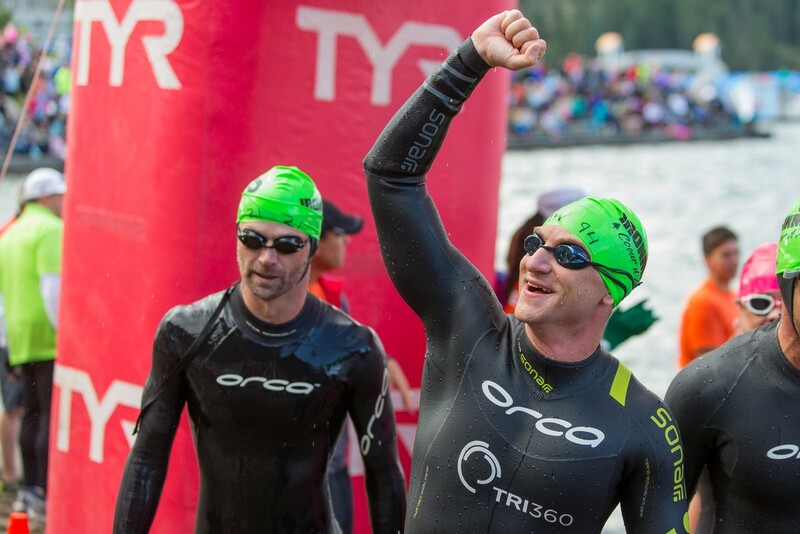 Jesse Thietten happily walks onto shore after his first of two laps in Lake Coeur d'Alene. Thietten finished the race in 14:34:16. 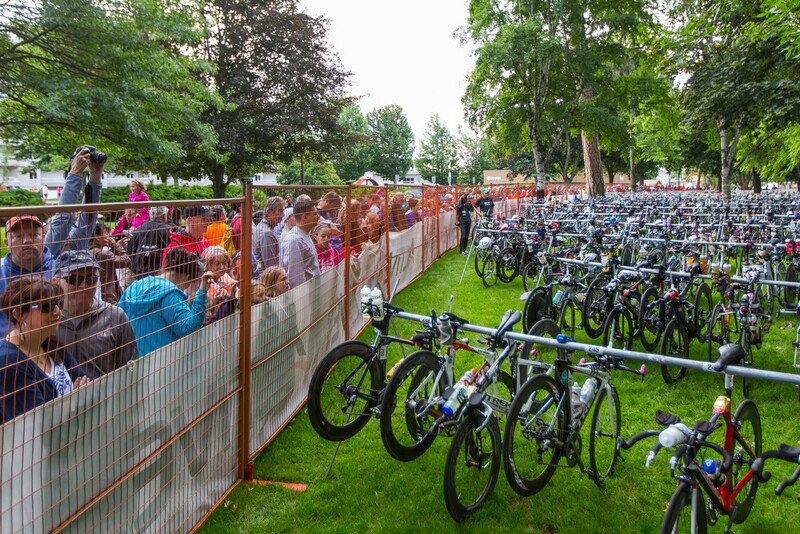 Spectators line the bike area to watch as competitors start the 112-mile bike portion of the triathlon. 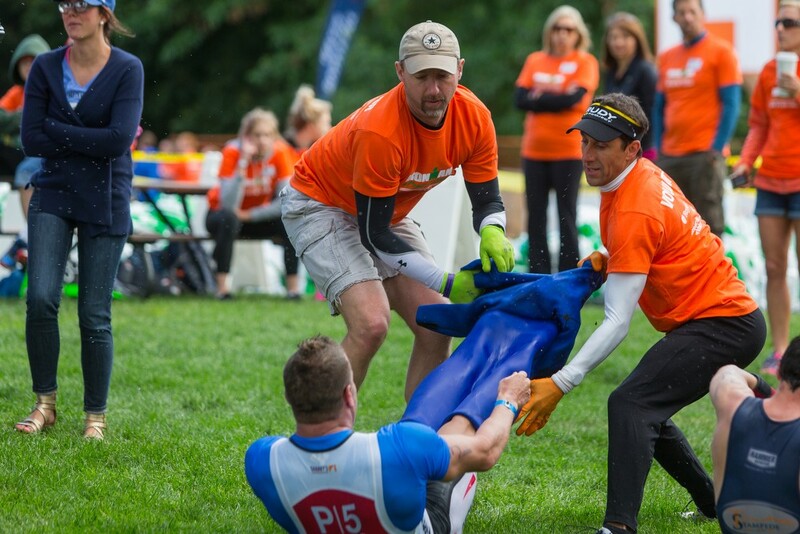 Craig Thorsen, left, strips a competitor of his wetsuit with Greg Gallagher at the Coeur d'Alene Ironman. 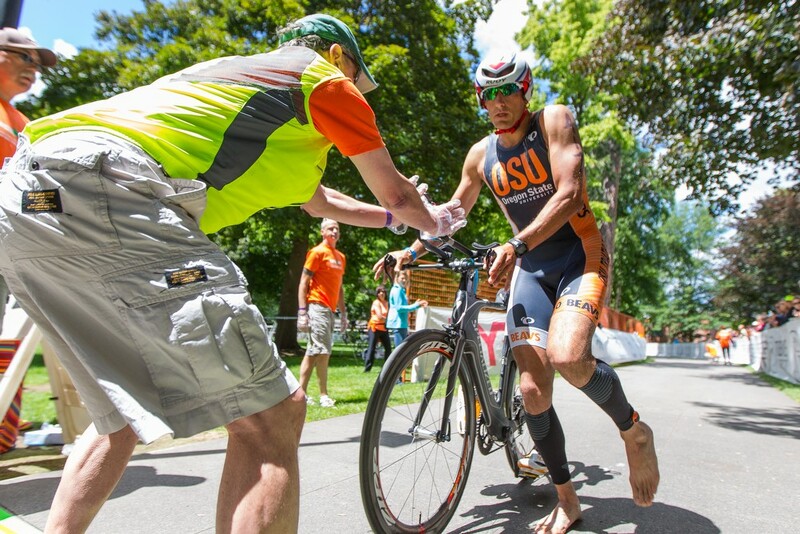 A competitor exits the transition area to begin the 26.2-mile run at the Coeur d'Alene Ironman. Erica Ziemer, left, pulls off a competitor's wetsuit with another volunteer. Bikers begin the 112-mile ride. 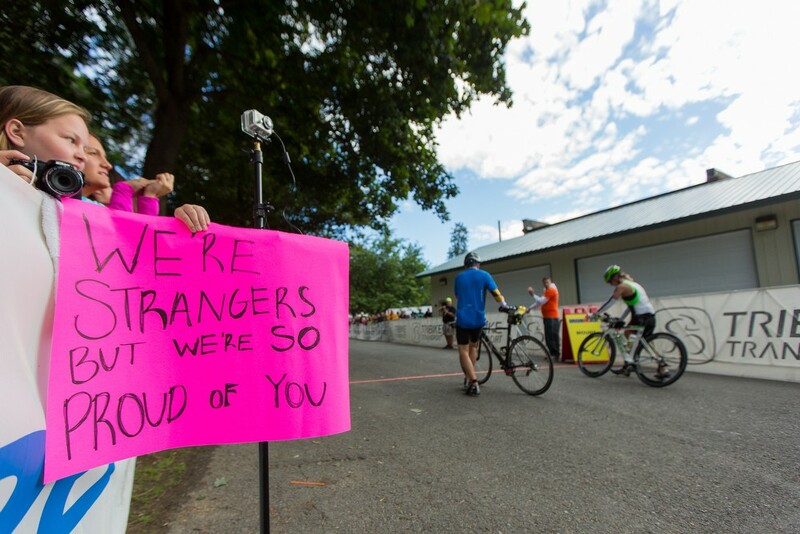 An encouraging sign sits as competitors mount their bikes. 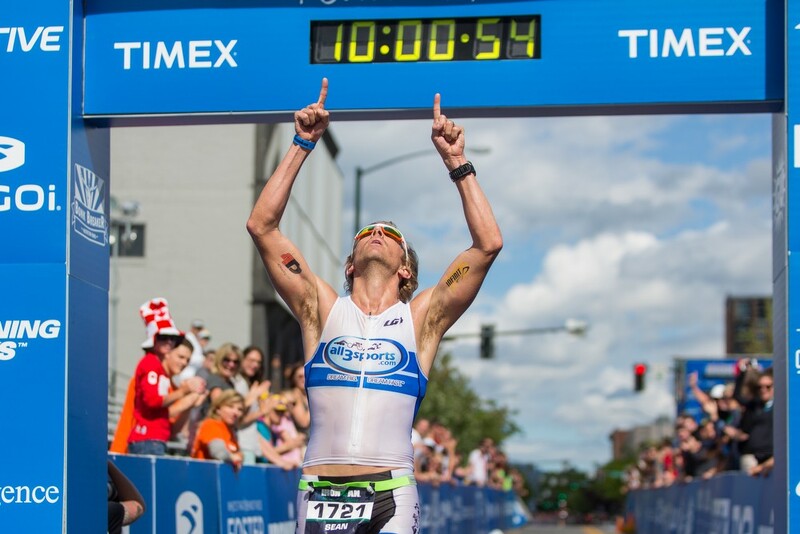 Alexander Baumstark, of Germany, finished the Coeur d'Alene Ironman in 11:28:21. 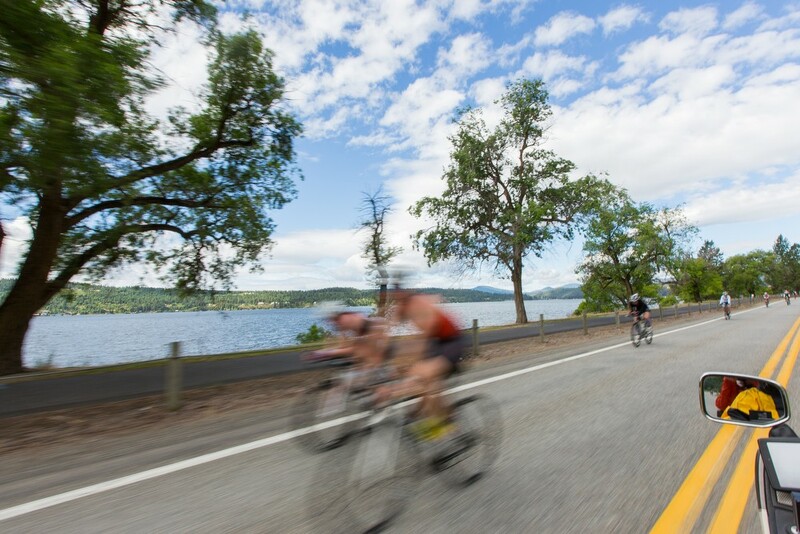 Bikers ride along Lake Coeur d'Alene around Mile 4. 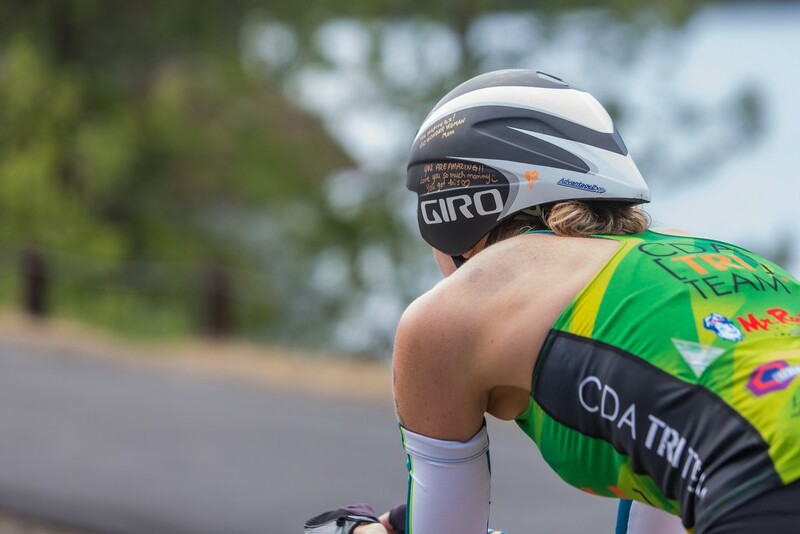 A competitor wears a helmet with encouraging notes, one that reads, "You are amazing! Love you so much mommy you got this!" 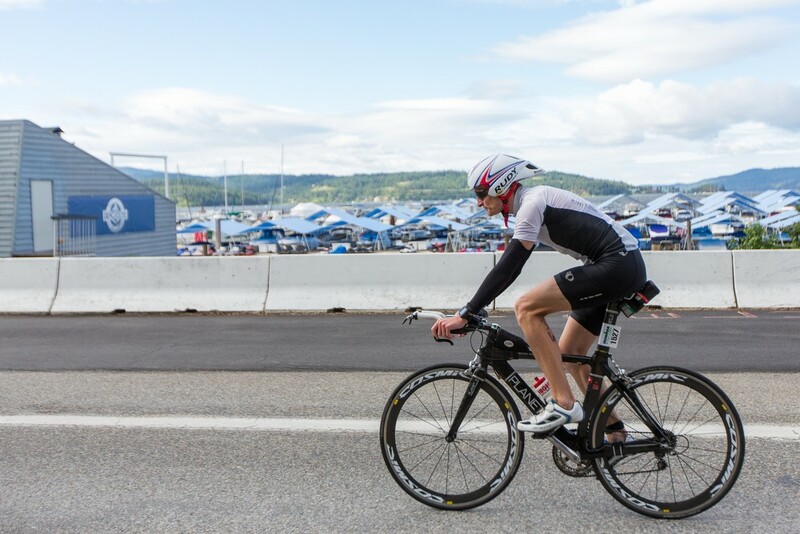 Jeff Judson completed the 112-mile bike ride in 7:18:57 and the entire race in 14:24:35, placing his rank at 1,275 at the Coeur d'Alene Ironman. 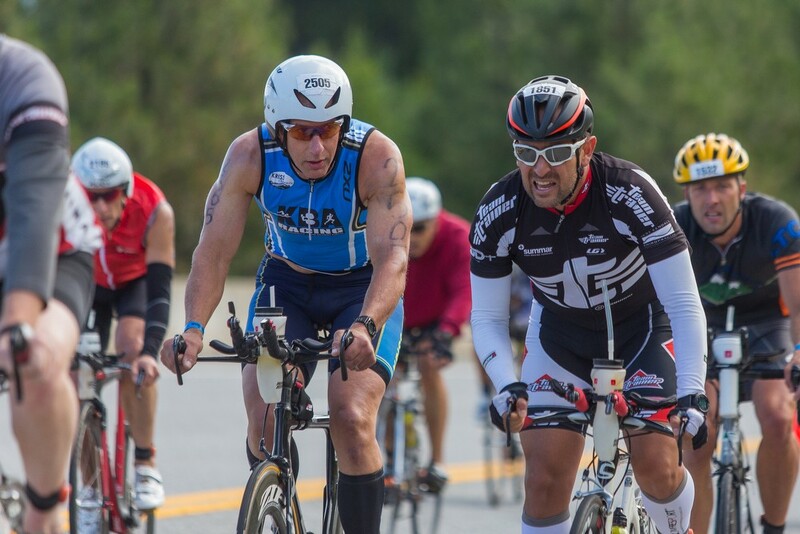 Alvaro Galindo, right, bikes alongside Phillip Kriss. Galindo finished in 13:50:57 and Kriss finished in 12:35:39. 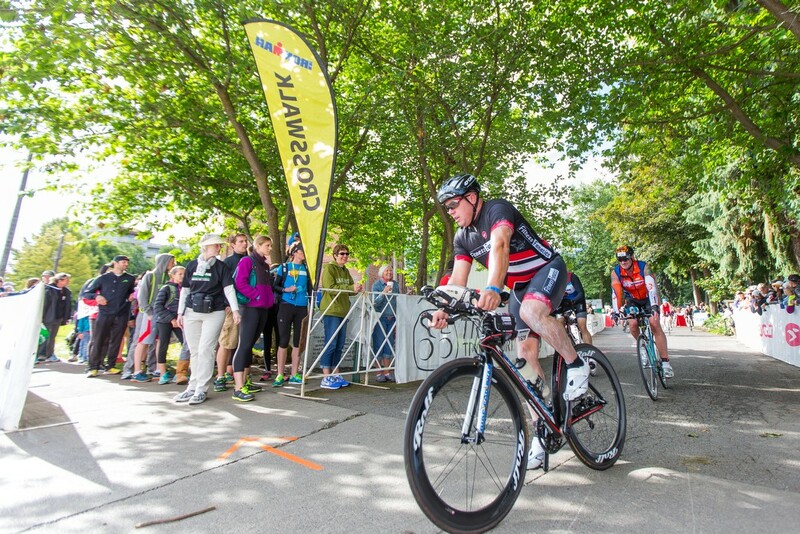 Peter Lorhmann, center, rides through downtown Coeur d'Alene with other competitors as they begin their second lap of the 112-mile bike race. Lorhmann finished in 10:26:12, 90th overall. 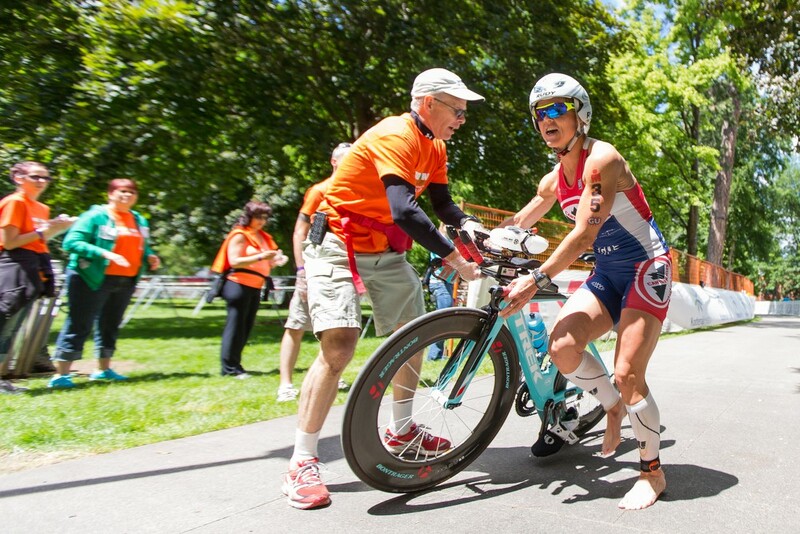 Ali Black, right, hands her bike to Brian Kingsburry. 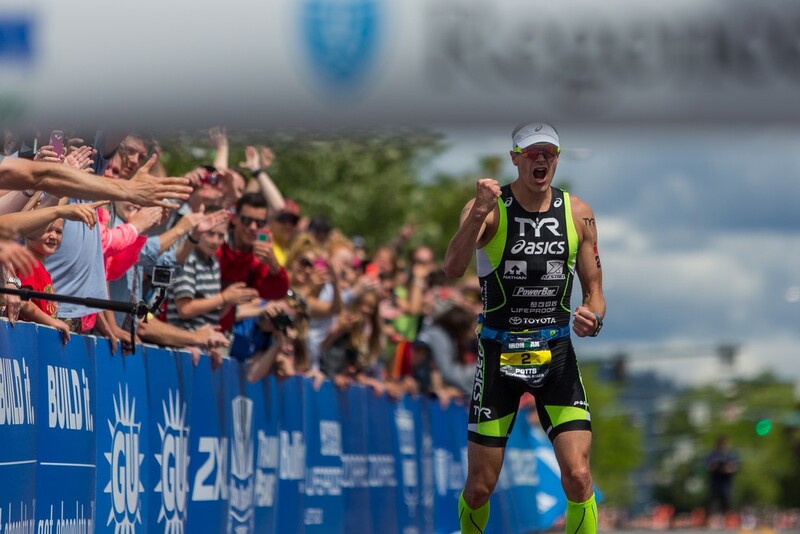 Black finished the race in 10:28:45 and in 97th place overall at the Coeur D'Alene Ironman. Ray Fiori, right, hands his bike to Ron Lahner. 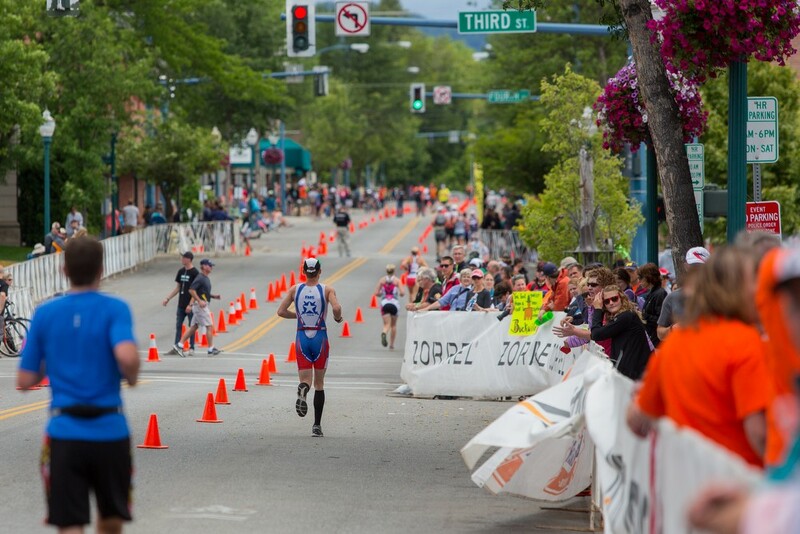 Fiori finished in 9:30:23 and 13th place overall at the Coeur d'Alene Ironman. 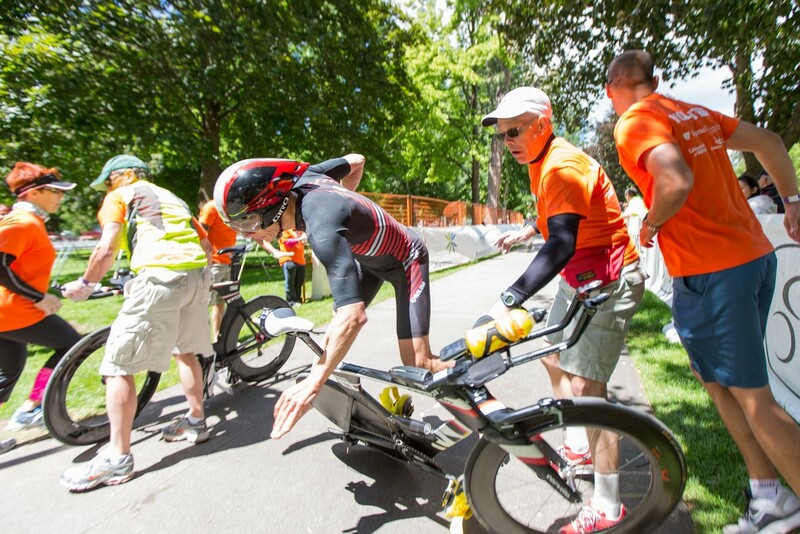 A communication error between 3-year-volunteer Brian Kingsburry, right, and a competitor resulted in a crash at the end of the bike portion. 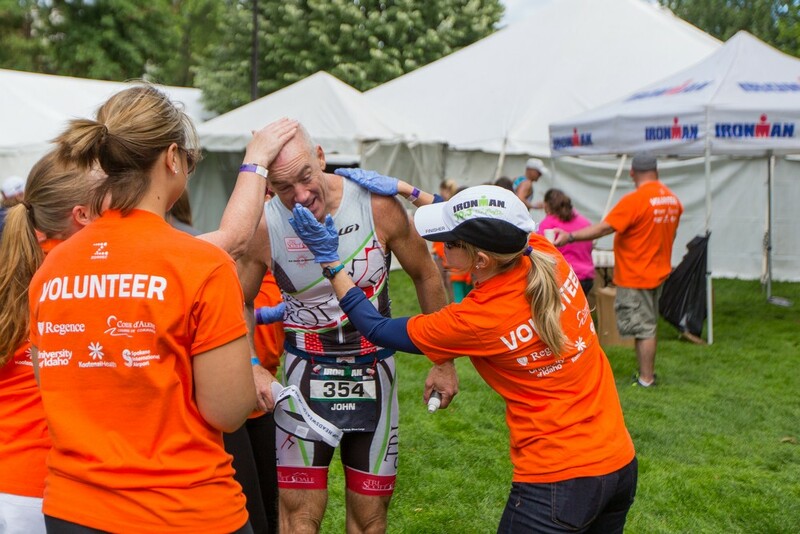 Volunteers rub sunscreen on John Poisson, who finished 96th overall. 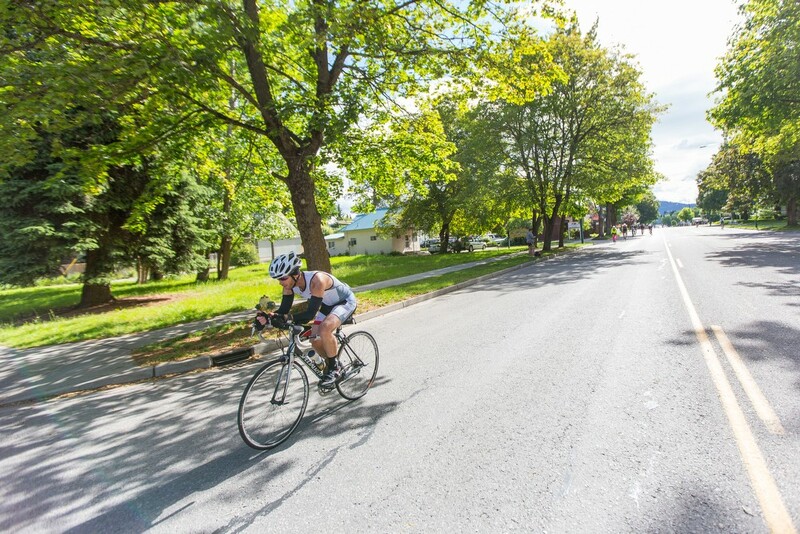 A competitor runs through downtown Coeur d'Alene for the final portion of the triathlon. 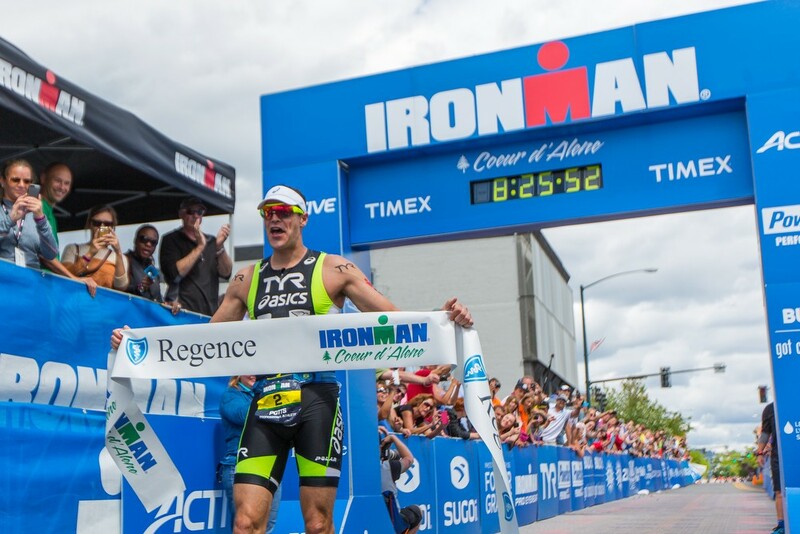 Andy Potts, winner of the 2014 Coeur D'Alene Ironman, finished in 8:25:44. 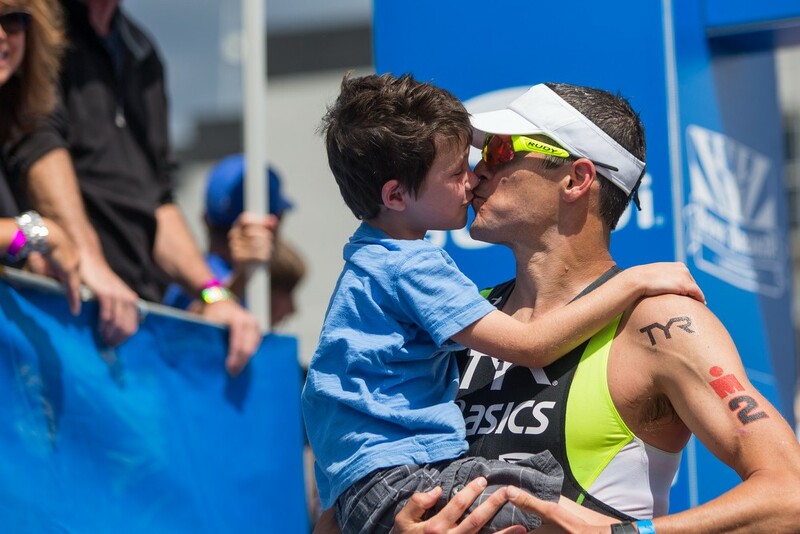 Andy Potts is met by his son at the finish line after winning the Coeur d'Alene Ironman. 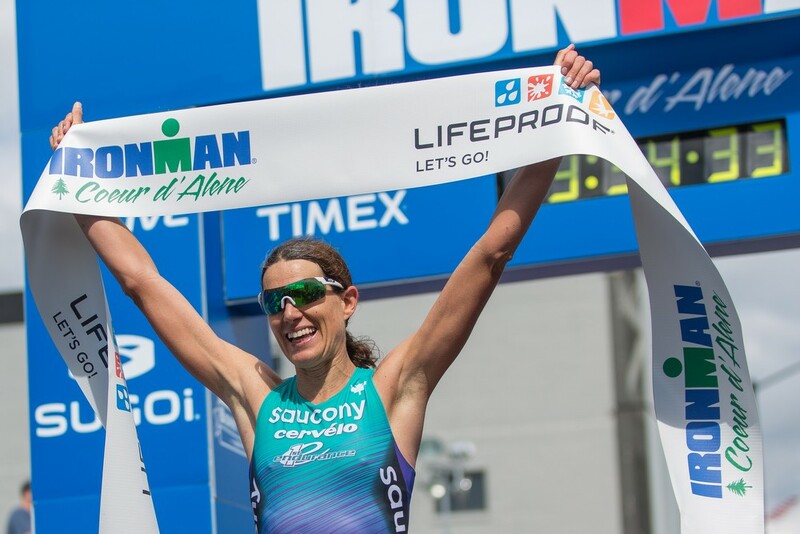 Women's winner Heather Wurtele finished the Coeur d'Alene Ironman in 9:34:32. Derek Garcia finished in 7th place with a time of 8:57:57. 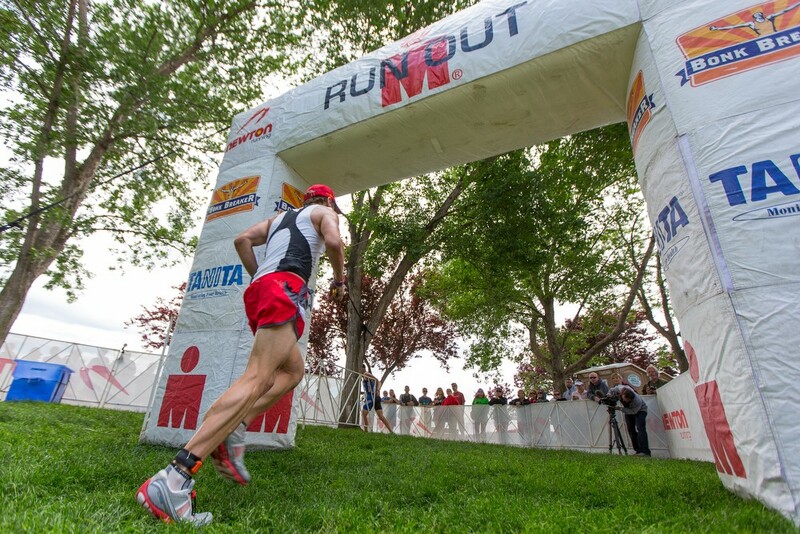 Sean Schnur excitedly crosses the finish line. Schnur finished 10th overall. Oleysa Prystayko crosses the finish line with a smile on her face. Prystayko finished 10:07:59 and was the 4th woman to finish. 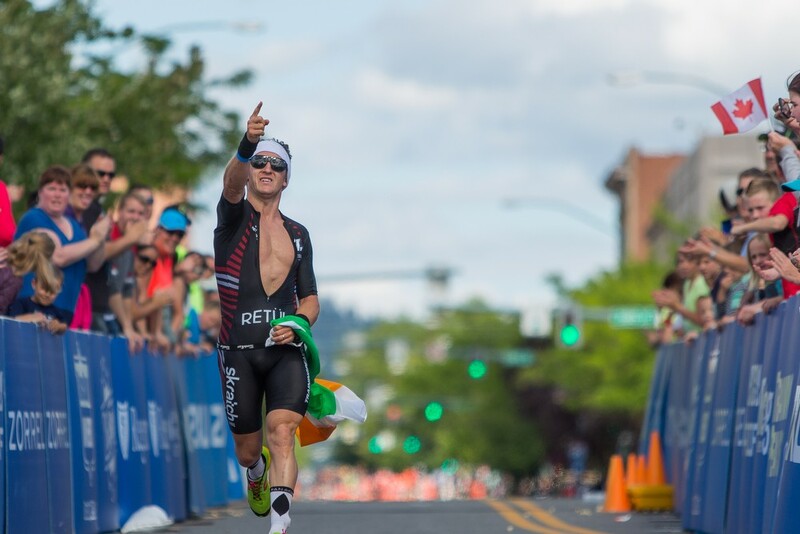 Ivan O'Gorman of Ireland finished the Coeur D'Alene Ironman 9:33:59 and was the 15th athlete to cross the finish line.